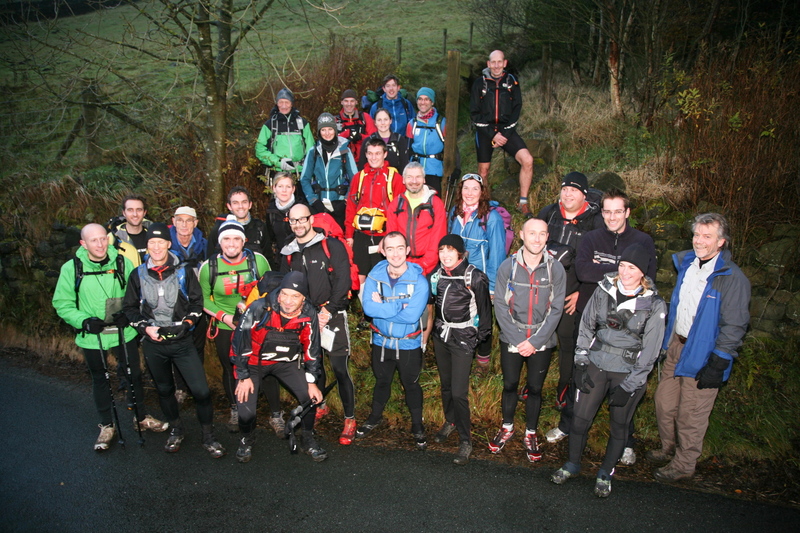 ← #103 – Ski mountaineering in Snowdonia – in November?!! 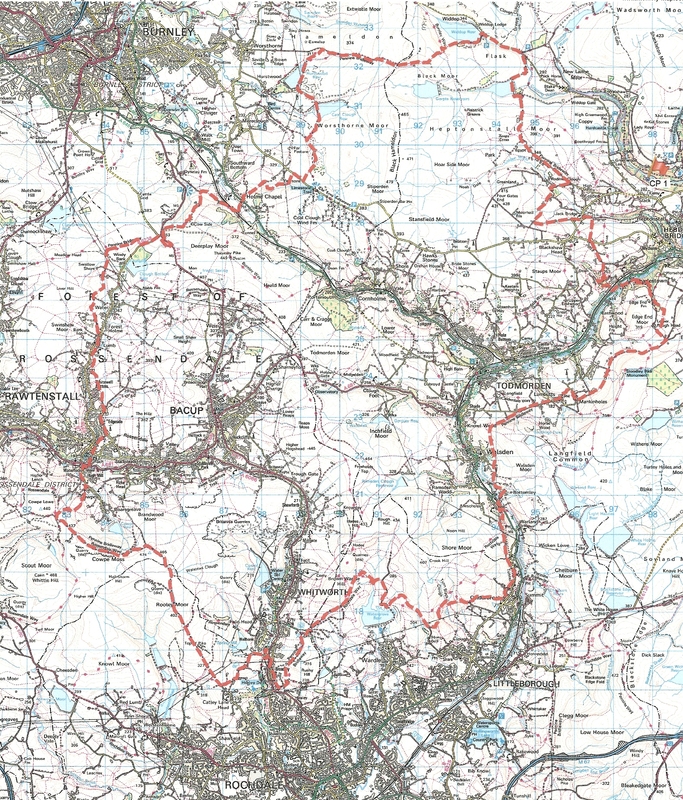 By any stretch of the imagination, completing the Pennine Way on foot is going to be a challenge. It’s 268 miles (431 kms) of rough, boggy terrain along the backbone of England, exposed to the worst weather that an English summer can throw at you, walking for about 2 ½ weeks. 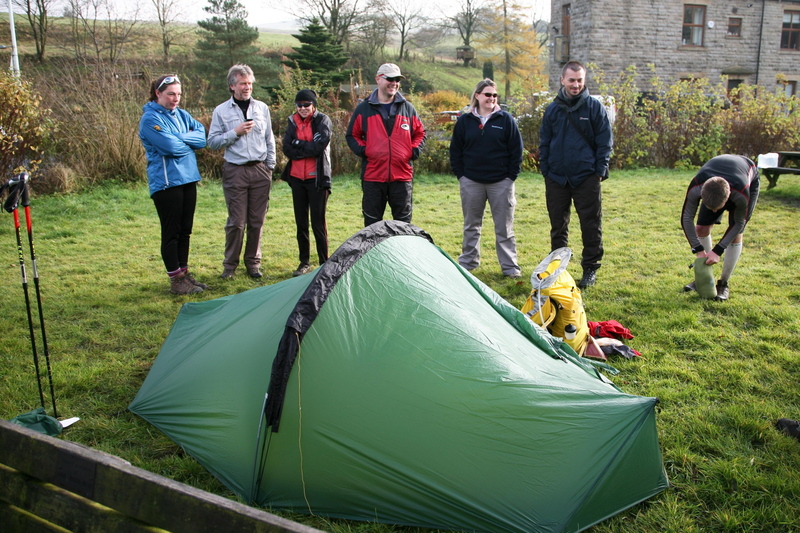 Some people add to the fun by backpacking, carrying their shelter and food with them. 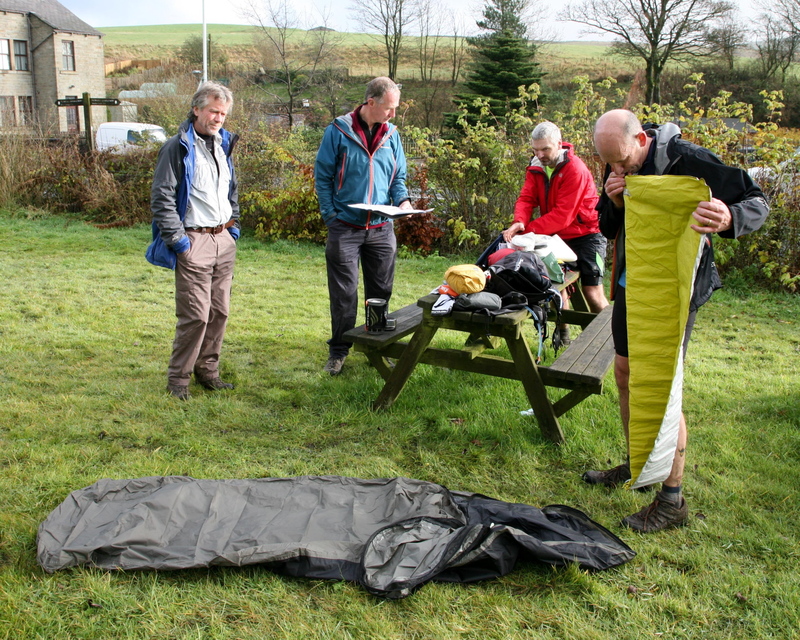 If that sounds too easy there’s always the ‘Spine Race’ – carry all your gear, do it in 7 days and do it in winter! 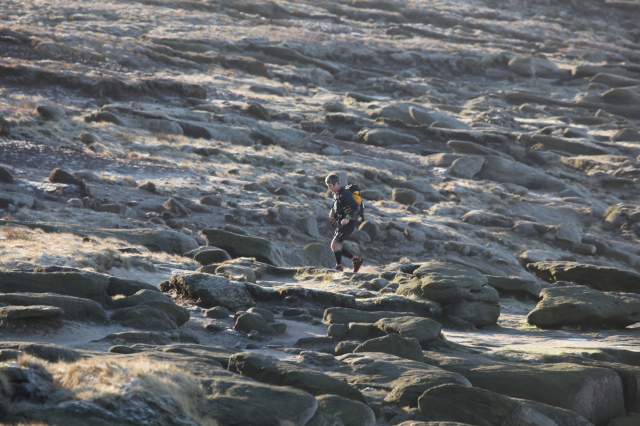 “The Spine is Britain’s most brutal race. 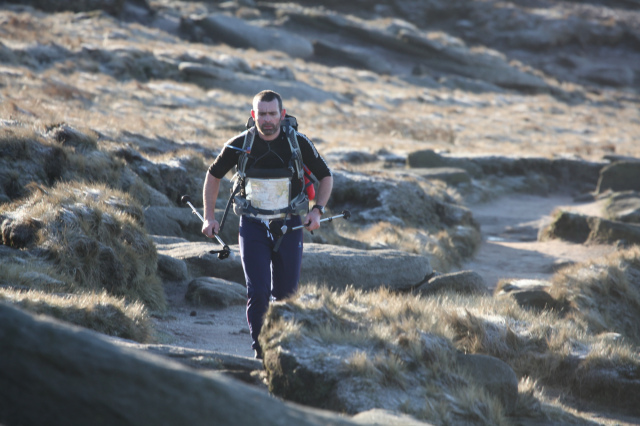 The longest, coldest and most demanding mountain marathon in Britain.” Well, that’s how it’s described on the ‘Spine Race’ website, and having assisted in one of the safety teams on the first event in January 2012, I’m not about to disagree. A field of 15 starters was eventually whittled down to 3 finishers, following a war of attrition in which the athletes competed against foul weather and their own protesting bodies. The first ‘Spine Race’ proved to be a test of determination and heroism by all the competitors, not just the finishers (see posts #61 and #62). 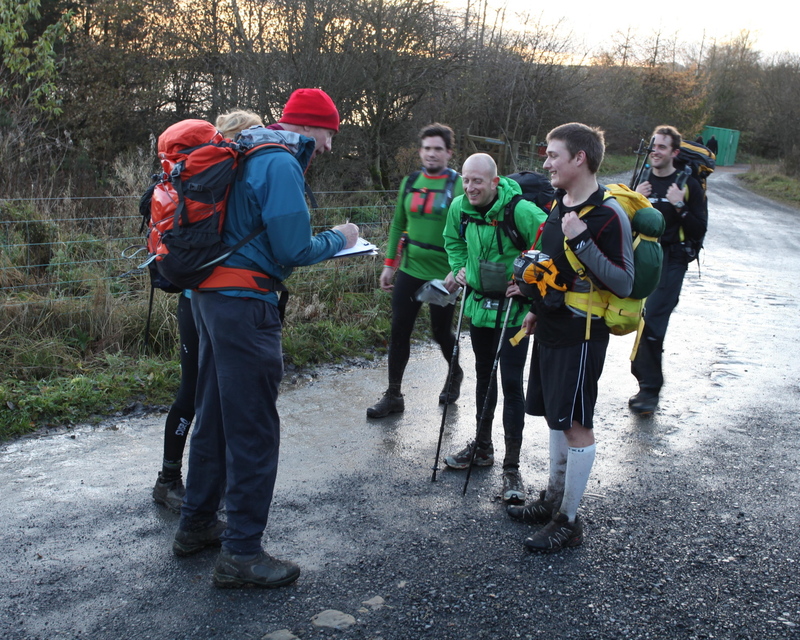 Faced with a possible four-fold increase in entrants for the 2013 race, the organisers decided to run a training event, giving entrants a chance to try out their gear, and to find out what running 40+ miles a day over rough terrain feels like. 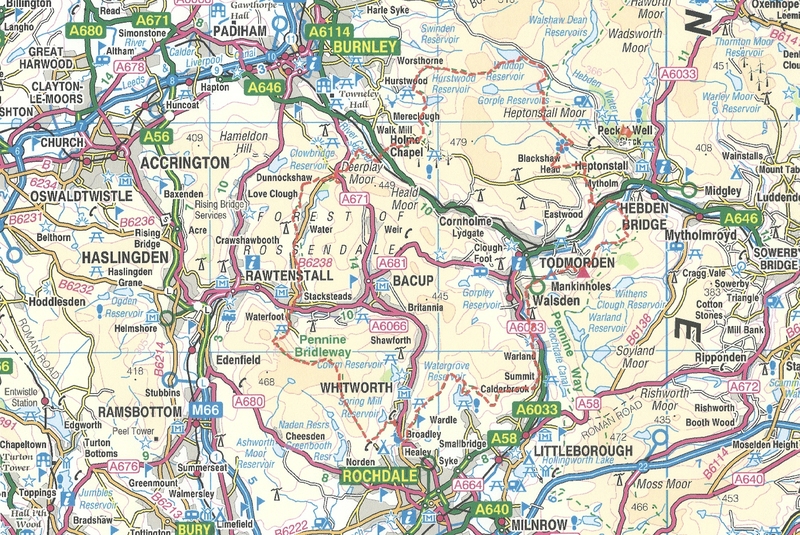 To keep things interesting, the event would be a course of over 45 miles (70+ kms) in November, crossing over (you guessed it) typical Pennine moorland. 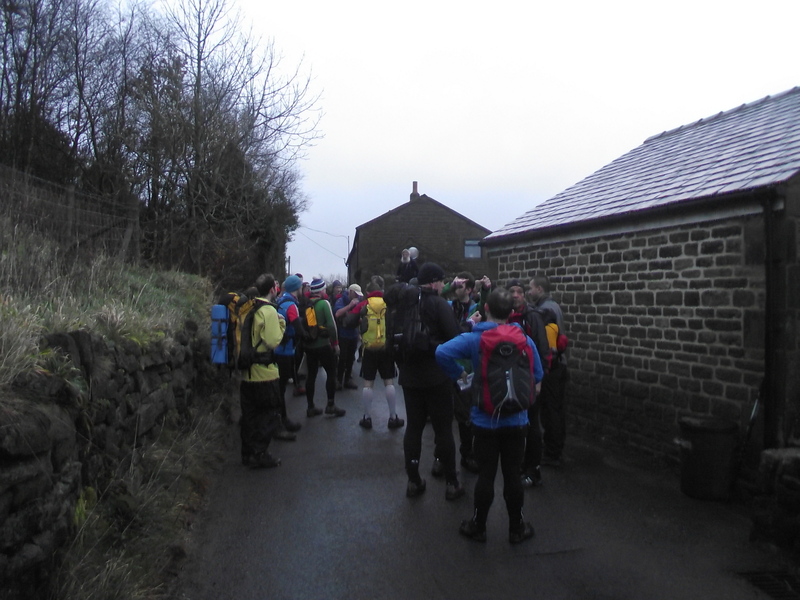 Checkpoint 1 near Hebden Bridge gave access to the start point on the nearby Pennine Bridleway, and not long after daybreak on a gloomy Saturday morning, the field of 24 athletes set off for a long, hard day. In the meantime the support staff, predictable as ever, went back to Checkpoint 1 for a second cup of coffee, before setting out by road to catch up with the happy band – by late morning all the runners had passed through a kit check, where their compulsory equipment, including stove, shelter, sleeping system and other required items, was given the once over by members of the support team. 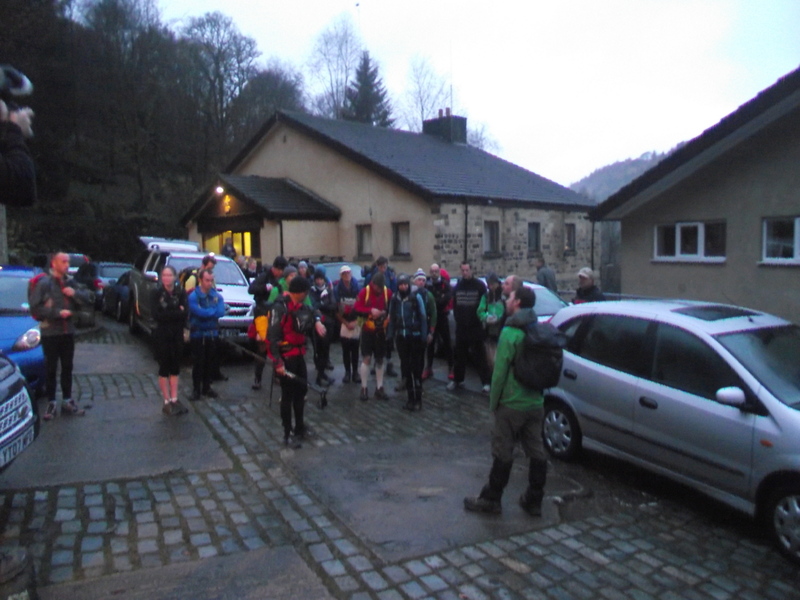 Then it was back on the hill for the athletes, and back on the road for the support team in an attempt to drive round the moors to pick up the front runners again. 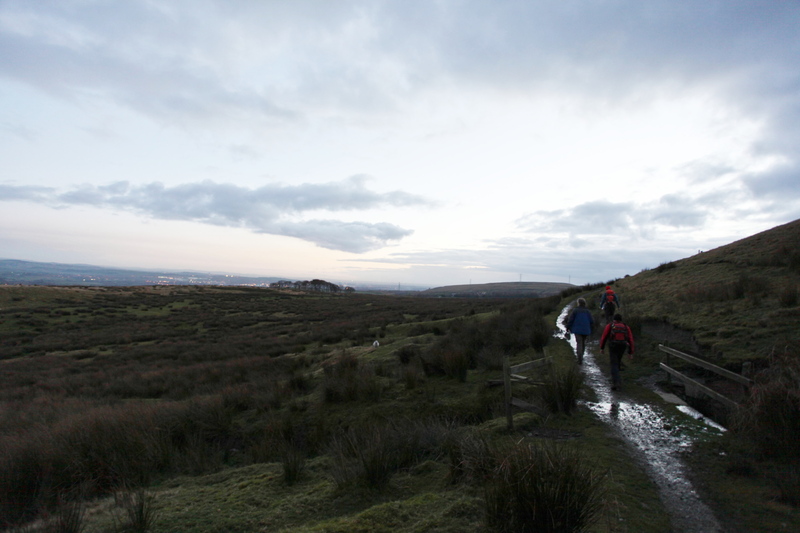 Our team took the reverse route from near Littleborough, heading across the moors towards Whitworth, passing several groups of runners as we headed into the dusk. 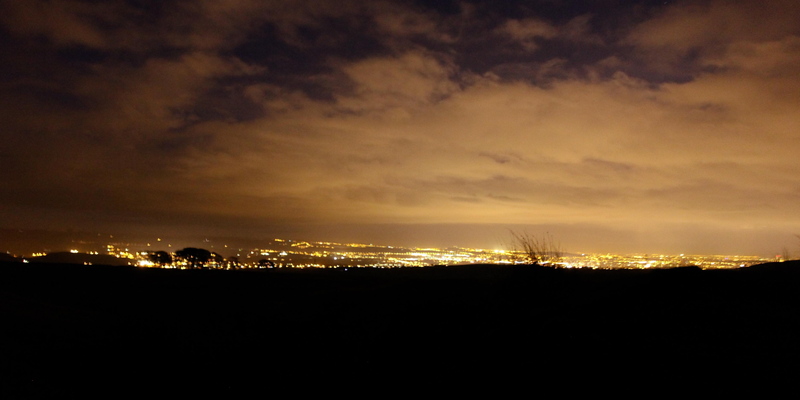 The light starts to fade …. 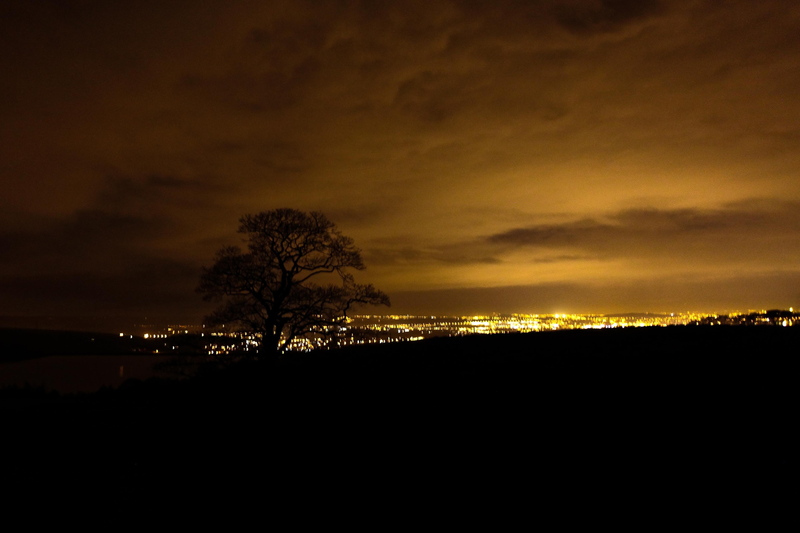 When the time came to head back it was dark, which suited me fine – there’s something ‘other worldly’ about walking in the dark, and the lights of Rochdale in the distance contrasted with the peace and quiet of the moor at night. 17 kms walking, and a surprising 470 metres total height gain, saw us back at the cars, ready for the drive back to Checkpoint 1. 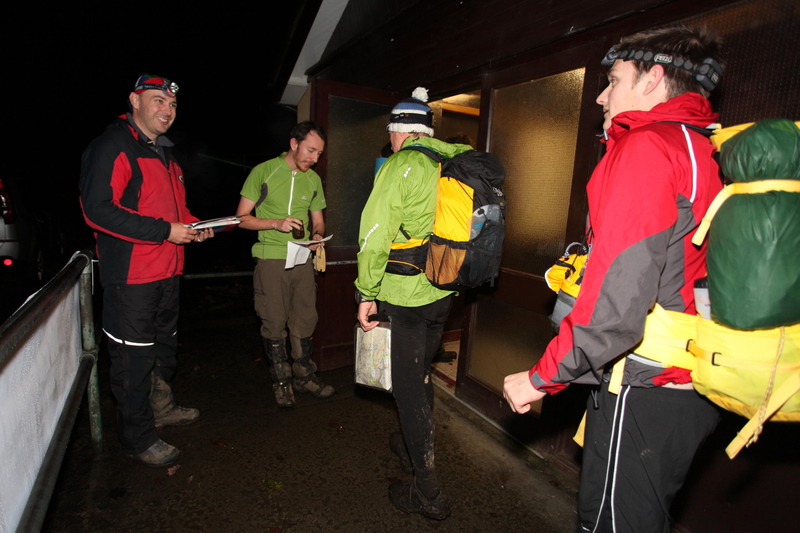 Back at the checkpoint, some of the field had already arrived, and the new arrivals barely had time to get through the door before a plate of pasta was thrust in front of them by super-chef Vicki. It had been a long hard day, with lessons learned by the athletes and by the support team. 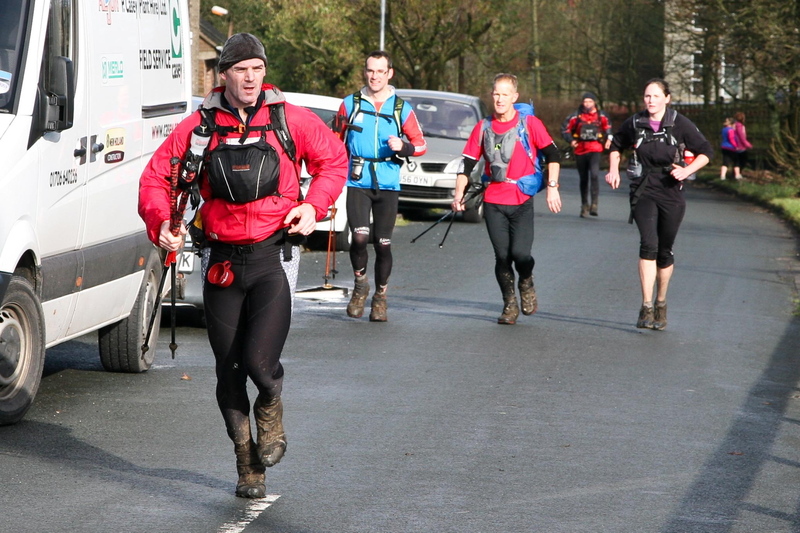 As I write this, the 2013 Spine Race is only 8 weeks away – if the last race was any indication, it will be a challenging week for all! p.p.s. Just before posting this, it was announced on the news that we might be in for the coldest winter in the UK for 100 years – that could make the ‘Spine Race’ even more interesting! This entry was posted in 4. 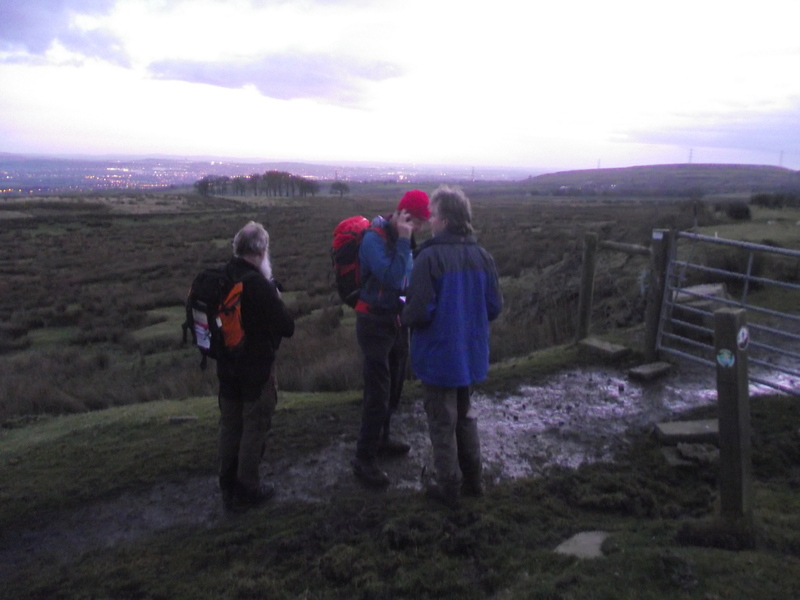 Northern England and tagged Adventure Racing, hillwalking, Pennine Way, photography, Spine race, winter. Bookmark the permalink. Wow! 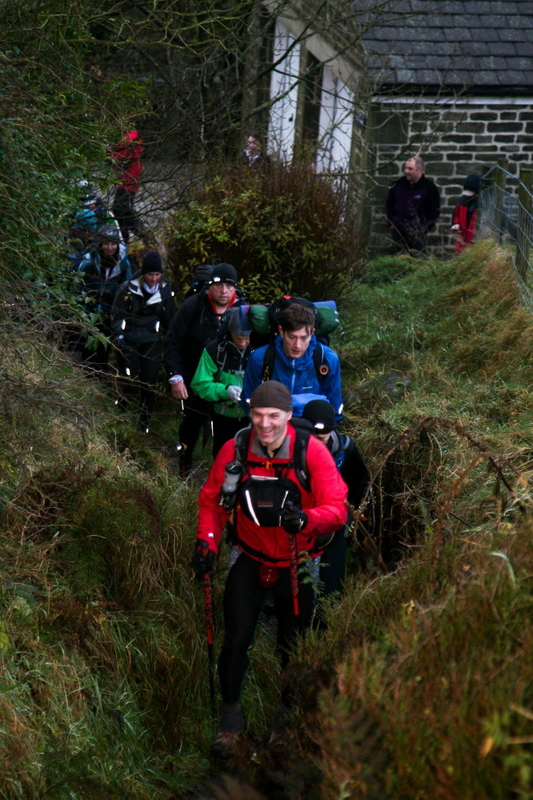 Not heard of the Spine Race – certainly looks challenging, and if I was 20 odd years younger it is something I would certainly consider! Great article as always Paul! 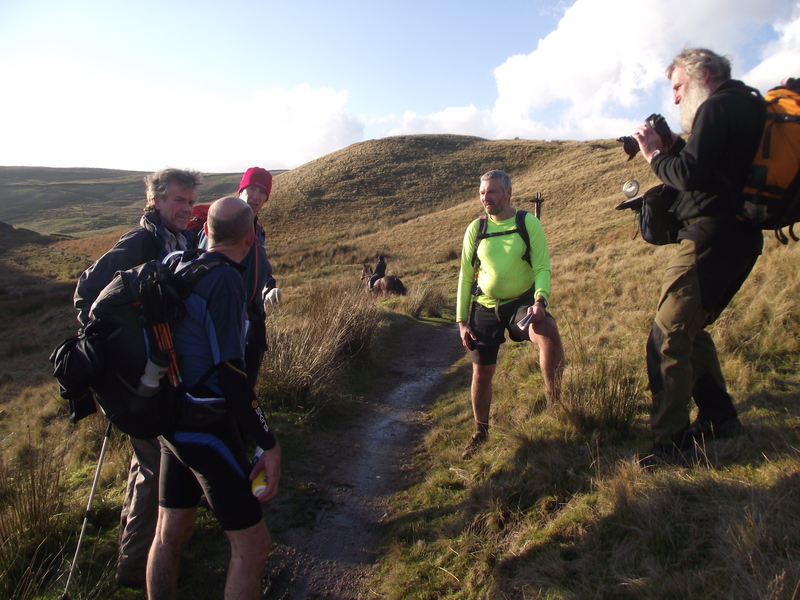 20 odd years ago I seriously contemplated the Bob Graham Round, and paced others making attempts on several sections of the route, over a three year period. 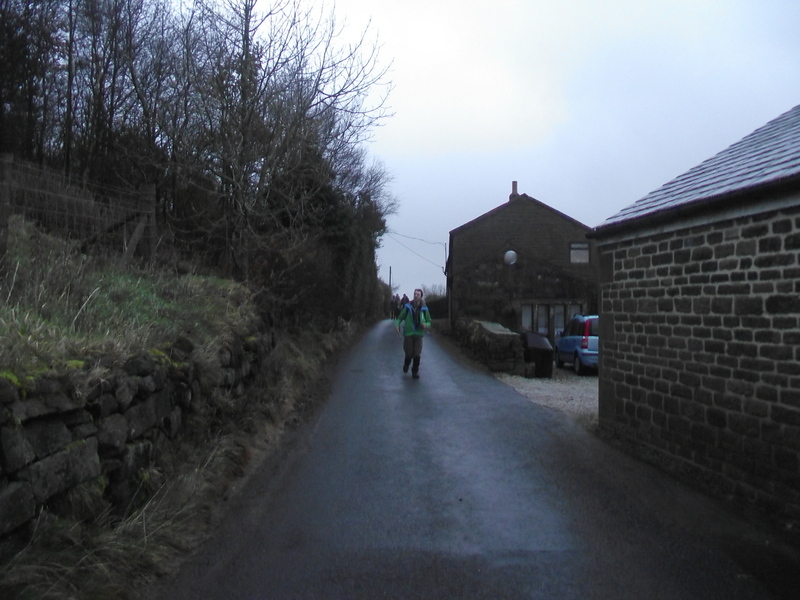 Full of admiration, but glad that I did it at a more normal pace, stopping when and where I felt like it! Nutters, but heroic nutters!! You can’t help admiring. I Know!!! Totally mad! Where did that year go?!! They need some spine to do that, not to mention the preparation (and how do they find the time to train!!). I should think you get quite a buzz being part of the support team. One of our younger orienteering club members completed the Bob Graham Round recently in under 23 hours which we thought was pretty impressive. 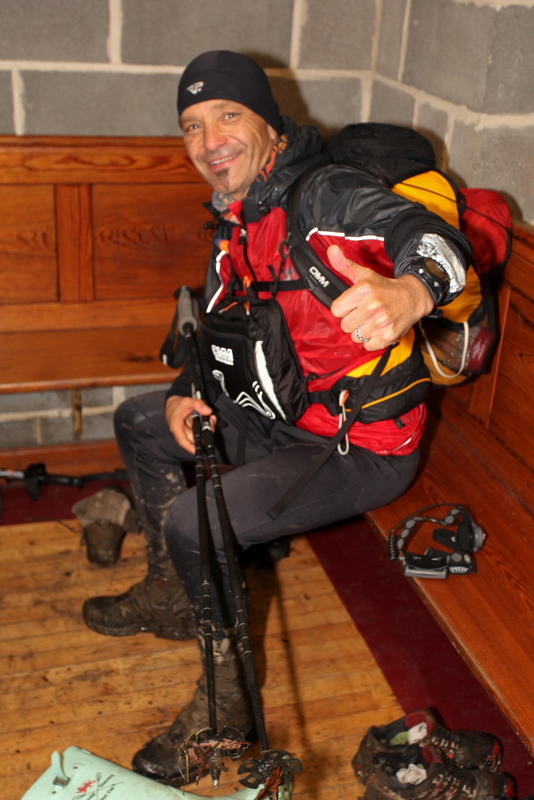 I’ll stick to doing my few k around the local woods – left it a bit late for anything more adventurous methinks. I get all the buzz I need supporting! These people don’t train, they just enter a new event each week! Amazing!! Wow! Thats pretty special, you have to be some sort of machine to do this sort of thing. Do you have any insider knowledge from being in the support team of what makes these sort of people tick and what they do to be able to complete something like this? I’ve run the London Marathon a few times, but this is something different! 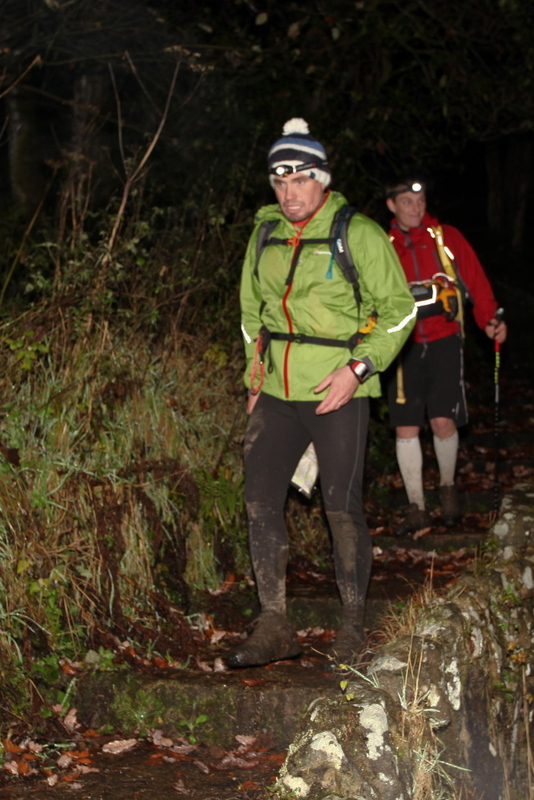 Extraordinary to do this in winter and over those ultra distances. 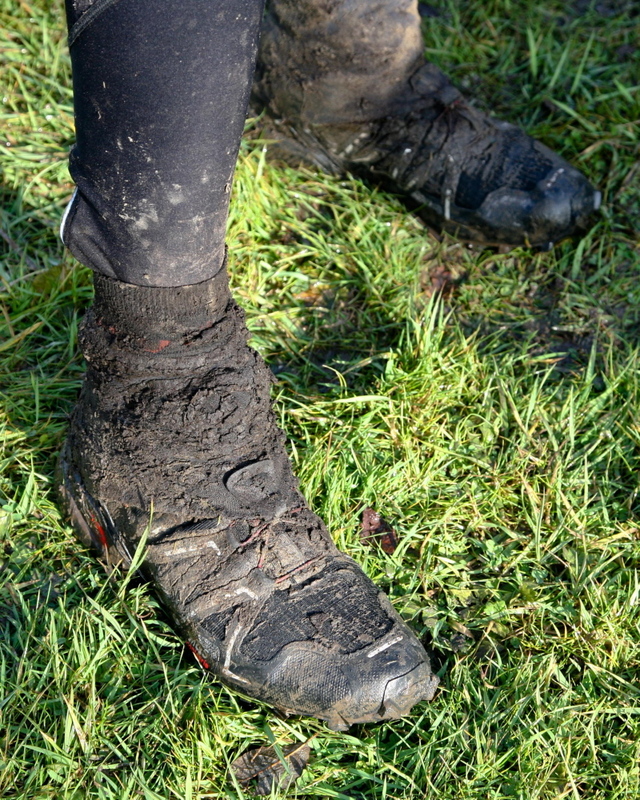 it will be muddy for sure after all this diabolical weather. A cold winter is predicted, not that predictions mean a thing! The only woman entrant in the last race withdrew on the evening of the first day – she had slipped on ice several times and didn’t want to pick up a serious injury. The conditions will be the big ‘unknown’ until the day of the start, but like you I’m sure that mud will be on the menu! Whoa, I commend their mental and physical grit. Great post and insight into the event Paul. Cheers Mark – I’ll follow up with the main event in January. Hello, my name is Maryam Aqsa. I study at Colne Primet Academy. I am emailing you to ask permission to use your image. I am using the image of the moon, it is for my ICT coursework. I need your permission to use your image to improve my coursework and achieve the target which has been set. Hopefully you will allow this, please could you get back to me as soon as possible. Thank you for your time and consideration.